IRAQI DINAR INFORMATION•View topic - Fatah Alliance: These are the cause of the media hype about "electoral fraud"
Fatah Alliance: These are the cause of the media hype about "electoral fraud"
The leader of the Fatah alliance Naim al-Aboudi said on Monday that the losers in the election caused a media fuss about the results, saying that the recent parliamentary elections were "the least fraudulent and the most honest" of its predecessors. 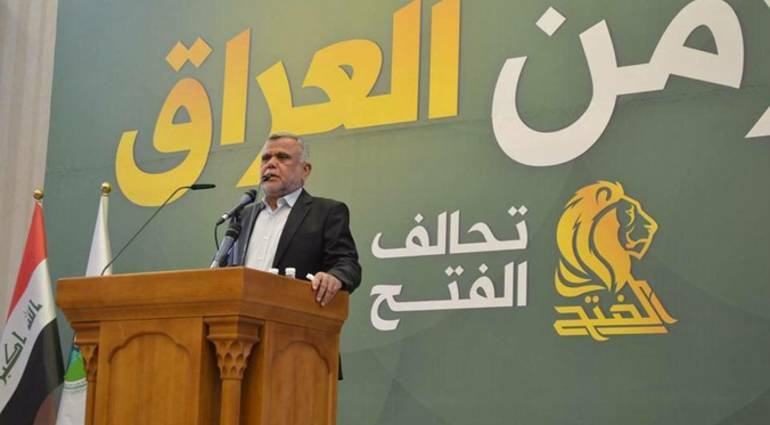 Al-Abboudi said in an interviewwith Sky Press that "the recent electoral process in Iraq was the least forgery, the most fair and transparent of its predecessors." He said that "electronic counting and counting cut the way for corrupt and counterfeiters to rig the elections in large percentages despite a few cases here and there" . Aboudi added that "the media hype that got, and is currently getting, was caused by some of the leaders who lost the elections and were able to create an incorrect public opinion that the election is rigged," pointing out that "the steps taken by the judges assigned from the counting and partial sorting proved a match Including electronically published results and manual counting. " "We are with any steps to prove the integrity of the elections and to reassure the people and objectors to the results, and we are not against counting and partial or total counting, but our reservation was on the total count was because of the need for a long time and the country entered a dangerous legislative vacuum can not be delayed more," stressing that " Which passed the country after the elections was a purely political situation because of four or five personalities lost the elections. "